It’s no little feat to whittle down the dishes at The Lanc to one in particular: there are so many good plates to choose from. 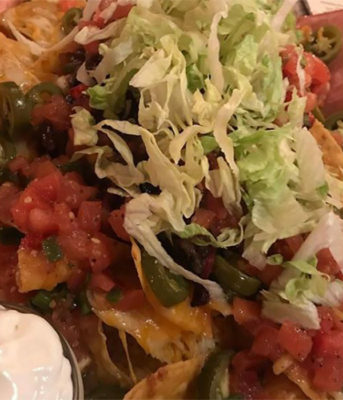 However, in their nachos, you can re-discover this classic “grab-a-pint-and-bite” pub fare. The purview of chef and kitchen manager Mark Pagett (incidentally, a graduate of Waterloo Region’s own Conestoga College School of Hospitality and Culinary Arts), the nachos should come with a warning: it’s a small mountain of an appetizer that can seriously impede your ability to get to your main course. That’s the nature of southern barbecue joints—big. You can choose plain nachos ($12) or topped with pulled pork, smoked chicken or brisket ($17), the latter of which is sauced sweet, smoky or hot and then chopped and added to the nachos. It’s a very large portion, to be sure. Located in the Highland North Plaza, 215 Highland Road, Muya Ethiopian started was a small take-away shop and shipped a lot of the injera bread it makes to Toronto. A year or so ago, it expanded and is now a 25-seat restaurant. 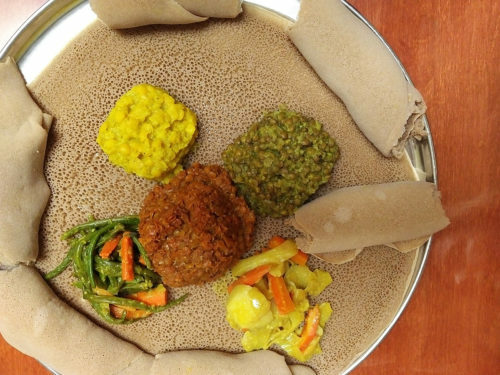 The basis of Ethiopian meals are the large disks of soft bread, made using teff flour and creating a spongy and bubbled flatbread like a pancake. On top, you can add chicken, beef or lamb. Or you can keep it vegetarian with lentils, chick peas, collard greens, spinach, green beans or carrots. Either way, you’ll get a good dose of berbere, a spice traditionally used in Ethiopian cooking. The veggie platter for two is injera and five sides for $14. Choose from a half-dozen or so “Fresh Poké Signatures” ($12-$13), including Lava Blaze with salmon, tamari, spicy aioli and a hot glaze and Ruffled Up: smoked duck and tempura shrimp with a tamari glaze. “It’s just really, really good food. When we came up with the concept, there was none of this style of restaurant around. 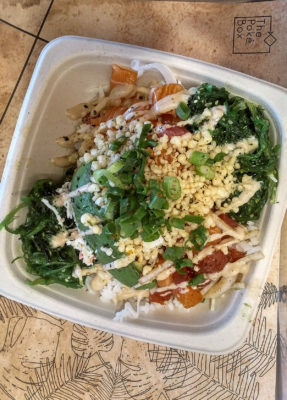 We saw it as like sushi, but we could incorporate a lot more vegetables and grains and things that allow you to eat it on a daily basis,” owner Jeremy Lai says. Poke from this small, mostly take-away, shop are delicious and offer vegetarian options too. However, the most popular is Big Umami: salmon, ahi tuna, cabbage, avocado and green onion. As do the other bowls, it has shoyu, a foundational soy sauce that’s rich and dark brown and salty. Furikake is a flakey seasoning that adds umami richness. Tempura bits add texture. 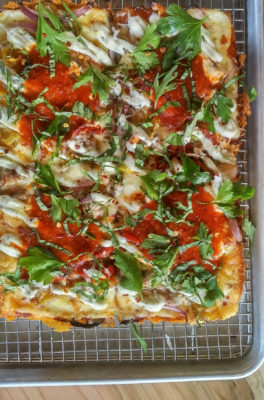 It’s perhaps difficult to find a really, really bad pizza, but it is very difficult to find a scrumptious, thick Detroit-style pizza. For that, there’s Graffiti Market at Catalyst137 on Glasgow at the edge of Belmont Village. True, there’s an Internet of Things thing happening there, but there’s also this old-school two-inch deep pie that is baked in a butter- and olive oil-slathered pan. The deep dish—the legend is that automotive parts pans used in building cars were used to cook the original pizza—helps create the thick, caramelized crust that’s both crisp and chewy. The tomato sauce goes on top, and the pie is cooked in a special Italian-made oven with bottom heat only. 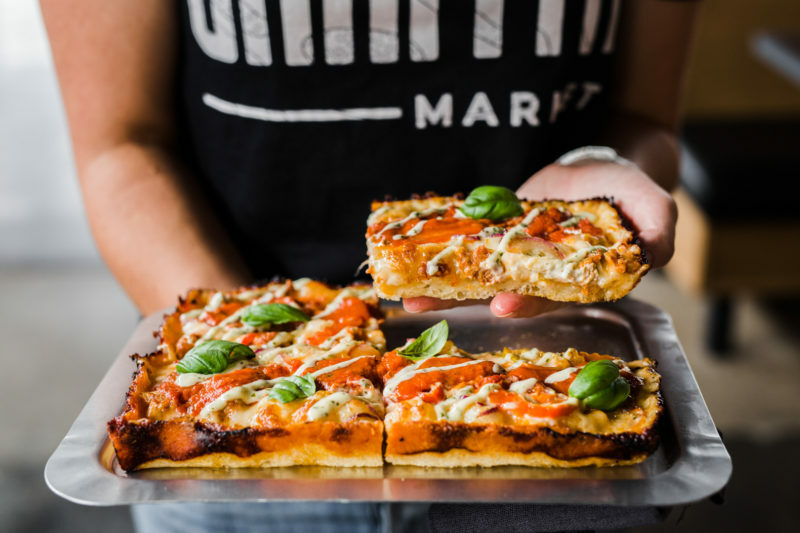 There are about a half-dozen pizzas (small and large; $20 – $35) on the Graffiti menu from a simple Mozzarella and basil to a pie with ten ingredients, including collard greens braised in Graffiti Market’s sister company Red Circle Brewing Co. Night Shift Coffee Porter. Just a note that these Motor City creations are hefty: more pickup truck than sedan. 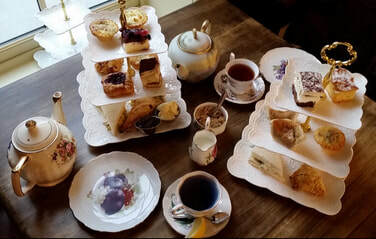 High Tea is a rarity, but Imperial Market and Eatery has decided to make the quaint British tradition more popular. It’s available—by reservation only—Tuesday to Saturday, according to Sabrina Hutchison, who owns Imperial Market with her husband Dave. “Dave and I did a lot of high tea when we lived in Scotland. It’s not as common here, so we saw an opportunity to introduce it to Wilmot Township,” she says, adding that the historic space at the Imperial lends itself well to the idea. High Tea ($27 per person)—house-made pastries and sandwiches with a bit of tweak including ham and Brie with spiced apple chutney and a chicken club sandwich with tomato jam and rosemary-brown sugar bacon—runs from 2 p.m. to 4 p.m.
“High Tea showcases who we are and what we do at the Imperial,” Hutchison says. You can get fresh doughnuts ($2.25 each) on your way to the office (or keep them yourself) every Friday at the Walper Hotel. They go on sale at 7 a.m. upstairs in the Barrister’s Lounge at the Walper, and are available until they’re gone. Walper banquet chef Jay Gilmour calls the doughnuts “traditional,” with dough being made Thursday and the doughnuts cut and then frozen. 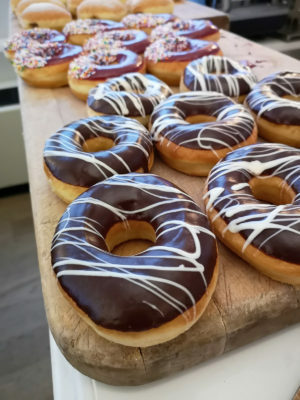 Gilmour notes that one of his staff, Walper chef Mark Woolner, is the cook behind the doughnuts, adding that Woolner is proud of the baked sweet. Something like a low-and-slow braise is perfect for the winter months. It warms both body and soul. Marcel Crotoiru is chef-owner at Cambridge’s Marcelo’s, along with wife Rodi. 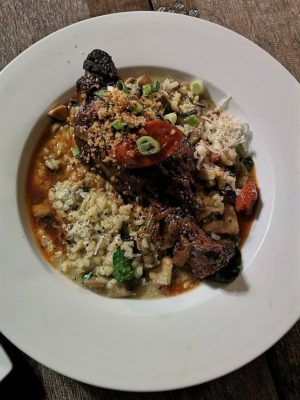 The braise on the menu for winter is the deep, rich flavours of a lamb shank ($27) braised slowly in red wine. It’s a two-hour process at about 275-degrees, according to Croitoru. He then plates it with a mushroom, spinach and Parmigiano-Reggiano risotto. It’s sure to fend off any icy winter blast.